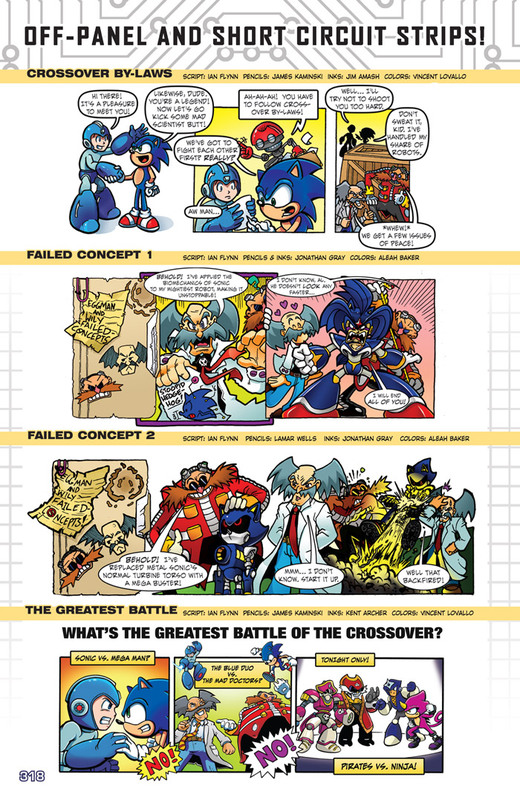 It’s the crossover of a lifetime! 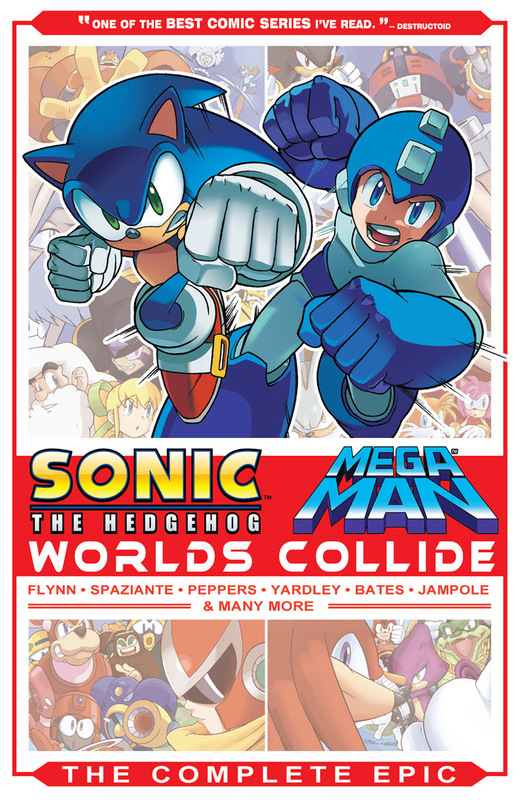 The team-up you’ve been dreaming of! Two of videogame history’s most iconic heroes come together for the greatest action story ever told! 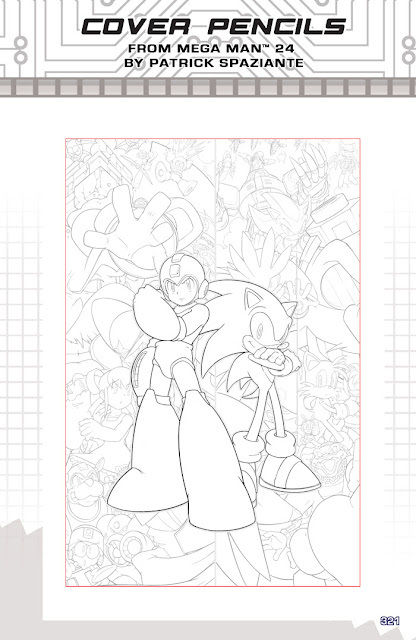 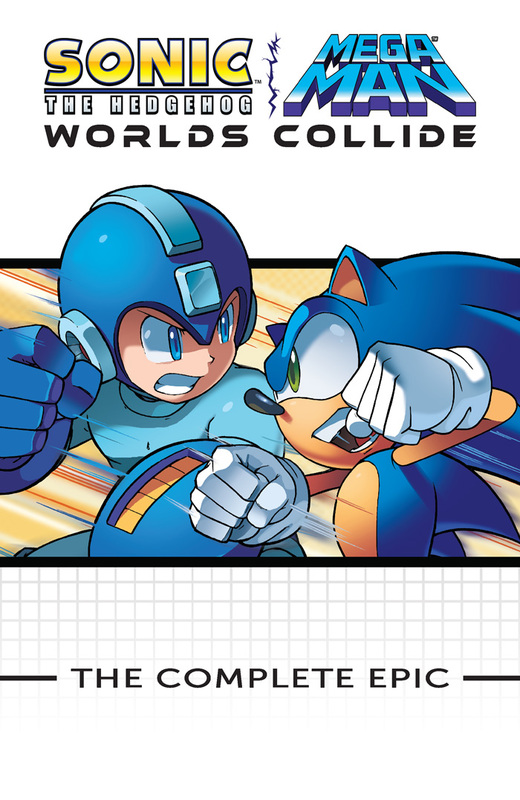 SONIC THE HEDGEHOG and MEGA MAN unite in WHEN WORLDS COLLIDE! It all begins with a meeting of the minds–EVIL minds! Dr. Wily makes contact with Dr. Eggman, and the two malicious mechanics conspire in a plan that will reshape entire worlds! 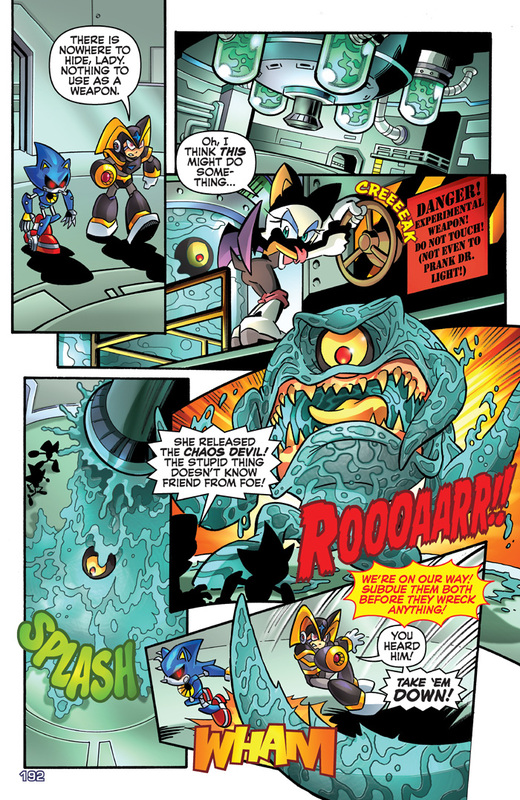 Using the power of the Chaos Emeralds, they build themselves an unstoppable army of Robot Masters and Roboticized Masters–Sonic’s corrupted friends! 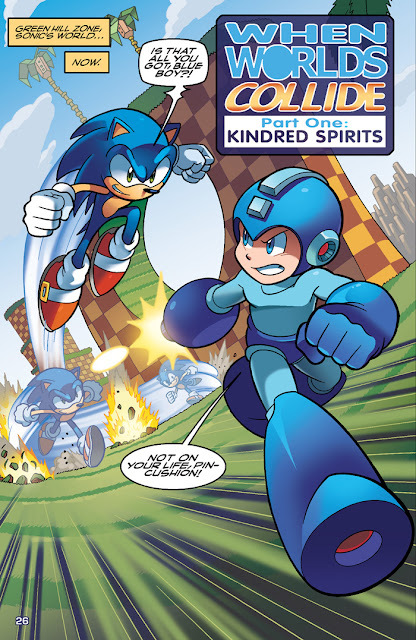 It’s pan-dimensional panic as Sonic and Mega Man race to uncover the doctors’ diabolical plot, save Sonic’s friends, and brave the nightmarish landscape of the Skull Egg Zone! 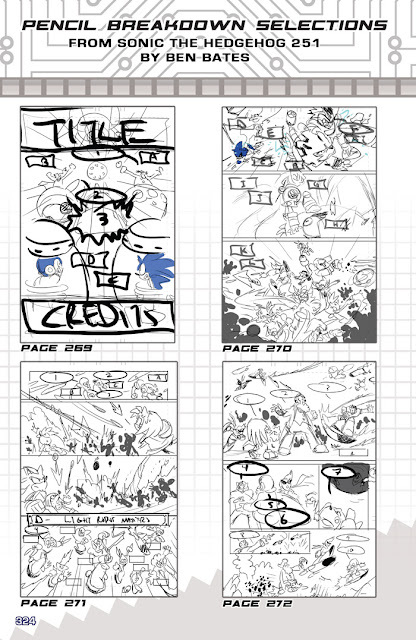 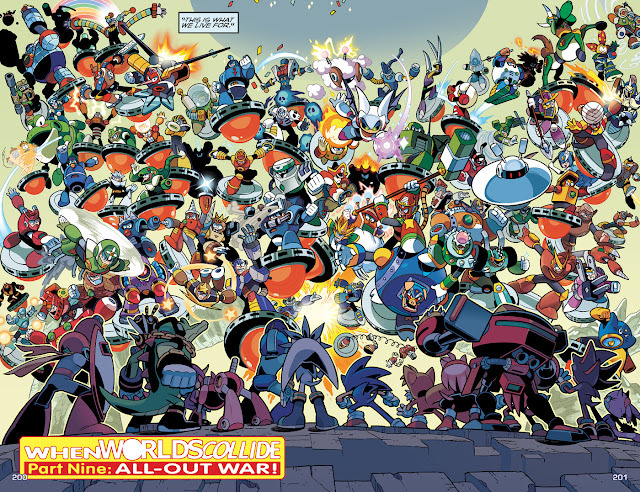 Along the way they gain new allies, Mega Man gains all new powers, and the stakes keep getting higher until two universe hang in the balance! You CANNOT miss this critically acclaimed crossover! Celebrated by old and new fans alike, beloved by critics and casual readers, this is one big love letter to all things SONIC and MEGA MAN! 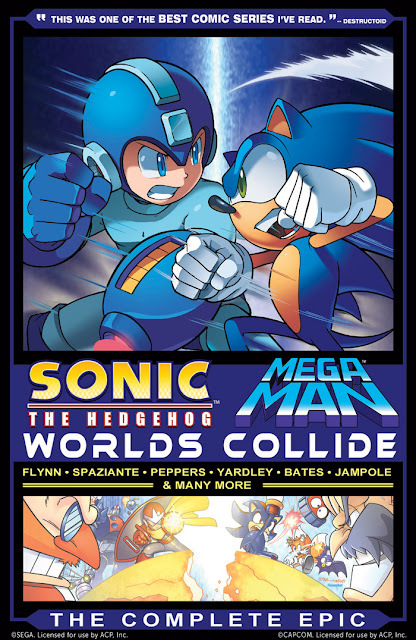 WORLDS COLLIDE collects the entire crossover event, containing SONIC THE HEDGEHOG #247-251, SONIC UNIVERSE #51-54, MEGA MAN #23-27 and material from SONIC THE HEDGEHOG #252 and MEGA MAN #28. Art: Jamal Peppers, Tracy Yardley, Ben Bates, Ryan Jampole, Evan Stanley, Terry Austin, Gary Martin, Jim Amash, John Workman, Jack Morelli, Thomas Mason, Dustin Evans, Matt Herms and Steve Downer.